This one is for photography ninjas! Both sides are beautiful black leather with matching black ends and blind embossed Lucky logos! Our straps don't wear out, they wear in! Every strap has unique textures and marks, it will get softer and more beautiful every time you use it. What you are looking at is a body of two pieces of 100% leather which is stitched together for strength and comfort. We then add our embossed end pieces which and glued and cross stitched to connect the 10mm webbing to the main body. 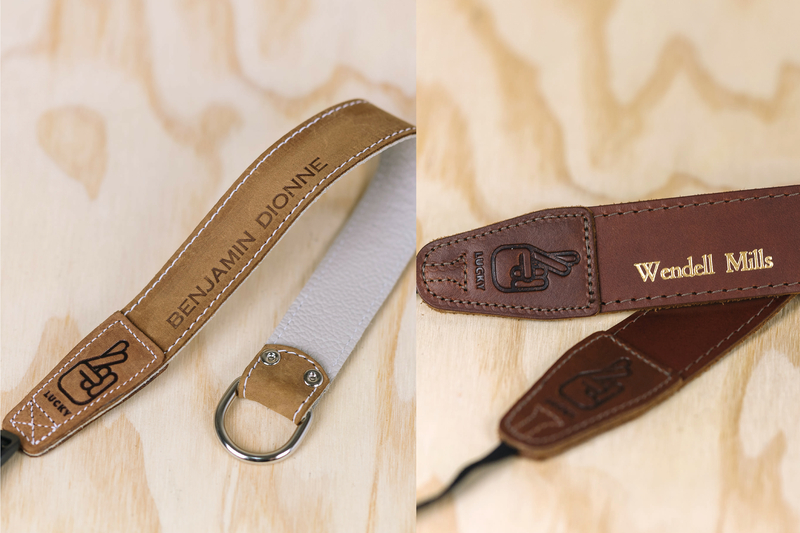 These are real letter straps that are handmade in our Australian factory! Bought the black with red stitching as a match for my new Nikon Z6. Looks tops. I was worried that the 53 might have been a bit wide for the mirrorless, but no - it's a fairly heavy thing and the strap works well to distribute the load. Got the long length, because I prefer to carry cross-body. It doesn't slide all that well over clothes straight out of the box, but like all leathers, I'm sure it'll smooth up with regular use. Waiting for the ducks to come by with the "Beast" 850 & its AWESOME new Lucky Strap in Black. 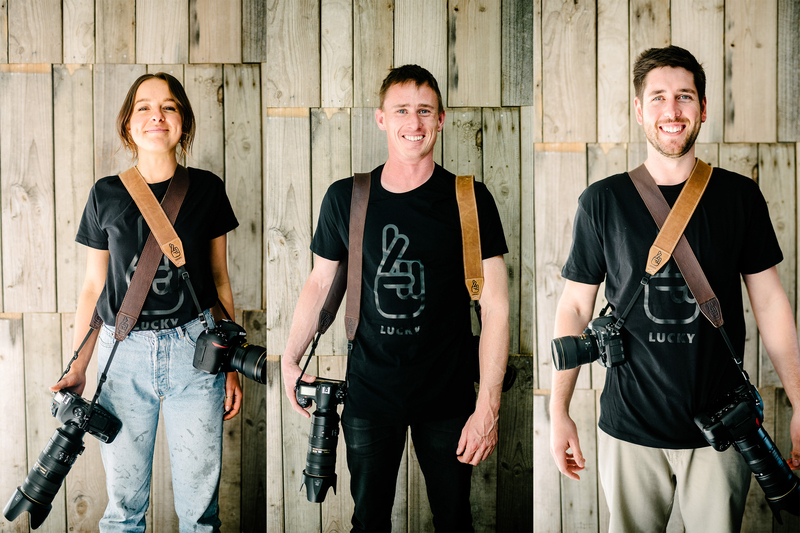 After weeks of looking online for a totally different and more useful common sense type of strap compared to the rest, I accidentally came across Lucky Straps website and the rest is history. This is a genuine leather, handmade strap of exceptional quality. The leather is soft and pliable and gives great support for my D610 and is extremely comfortable. I'm around 180cm and the longer length suits well for cross-body use and the smoothness of the leather allows the camera to slide easily over clothing for easy access. A great product backed by prompt and friendly service that I cannot recommend highly enough. I recently purchased a std 53 black strap for my wifes birthday. I was able to personalize it with the name of her photography business. On the morning of her birthday she was blown away by the overall quality and how, with the gold personalized embossing, it was truly unique. Ordering was a breeze and it arrived within day as promised. I ordered the camera strap as a gift for my best friend. The order was placed Tuesday night at 8.09pm and it arrived in Brisbane on the Friday before 11.00am. Unbelievably fast service, even more impressive as it was a personalised order with the embossing. I am so happy with this product. The leather feels good and the product looks so impressive especially with the personalised name. Very happy with this product and the service.